Today’s recipe looks like serious comfort food, and if you didn’t know me better you might think it was full of cheese and cream 🙂 Actually, this is my totally delicious dairy-free, plant-based take on on cauliflower cheese – an old favourite of mine. This healthy version graces my table frequently in cold weather because it hits all the right notes: comforting, cheesy and filling! My mission for myself, as well as one I hope to inspire in you too, is to naturally and easily make healthy choices part of my everyday life. I’ll admit, sometimes this is a lot easier to achieve than others, depending on circumstances and how I’m feeling emotionally. But still, the aim is there and I will, and do, continue to evolve my choices in the general direction of ‘healthier and happier’. There is no such thing for me as giving up on making healthier food choices, just days when I’m better at this skill than others. If you’re having a bad day, that’s just what it is… a ‘bad day’ not a bad you. For me it’s about having a few really healthy and easy go-to recipes, ones that I’m happy to make if I’m feeling tired or in need of comfort. I am a great proponent of simple recipes. Unless I’m feeling really creative, a long ingredients list and multi-paragraphed method fills me with dread. The recipe book or blog post gets closed and I reach for the pasta. My absolute favourite healthy recipes are the ‘chuck-it-all-in-the-blender’ ones; the ones that are easy to do when you’re feeling uninspired and rushed on time, but taste amazing and hit the spot. Don’t be afraid to whiz up a healthy but luxurious raw smoothie if it means it keeps you off the chocolate and biscuits. In moments like these my faves are raw chocolate and avocado based smoothies or a banana, coconut milk, vanilla and oats blend. Get into the habit of steaming your veg, rather than boiling, frying or roasting in oil. Save these other cooking methods for occasions rather everyday cooking. Swap out white carbs such as rice, pasta and potatoes and get creative with low carb alternatives such as sweet potato, plantains, cauliflower, courgette/zucchini and pulses. 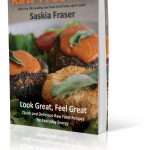 Make delicious raw desserts and ditch the sugar, gluten and dairy-filled cooked ones. Once you learn a few staple raw sweet puddings and treats, there will be no need to go back! This dish is so simple and quick to make, and all the kids in the family will love it – grown up ones and little ones too 😉 Although it’s cooked it is super clean and really satisfying when you’re in need of a hearty meal. Serve it up as the main attraction, or as a side dish. 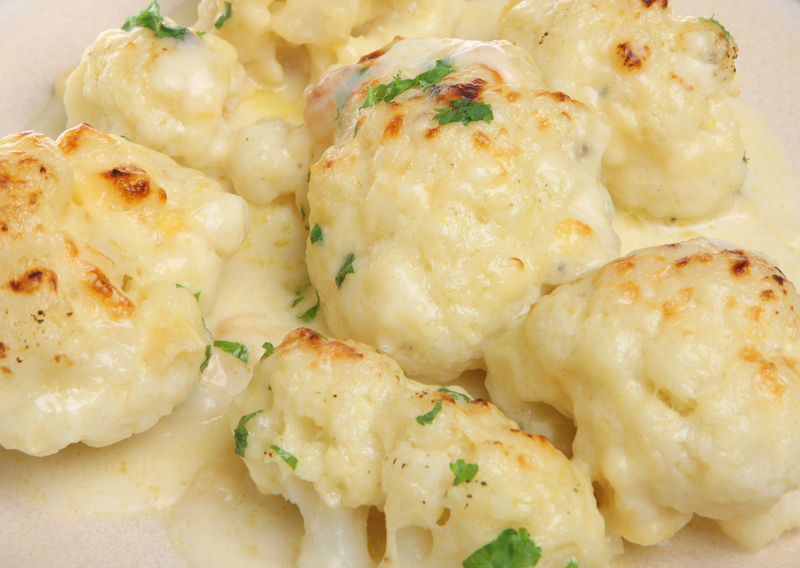 Steam cook your cauliflower for 15 – 20 minutes. Blend all your Cheeze Sauce ingredients together until smooth and creamy. 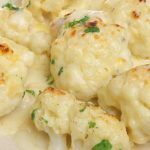 Combine the steamed cauliflower with the Cheeze Sauce and either serve immediately on a warm plate, or put it into a heat-proof dish and pop it under the grill for 5 minutes until nicely browned on top. 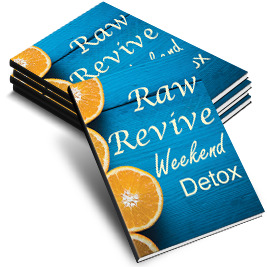 This entry was posted in Raw Food Recipes, Raw Food Tips. Bookmark the permalink.